The ethanol and hexane were used for extraction from Punica granatum seeds by maceration and soxhlet processes separately in order to evaluate the phytochemical constituents. The major chemical groups were analysed for their presence in the punicalgranatum seeds. Keywords: Punica granatum; Maceration; Soxhlet; Phytochemical. Plant fruits best in areas with long, hot and dry summers (90° F) and cooler winters. Root mulch helps control unwanted weed growth. Plants must be over wintered indoors in bright, cool locations with reduced watering. Genus name comes from the Latin name contracted from punicummalum. The name pomegranate derives from medieval Latin pōmum “apple” and grānātum “seeded” . Pomegranate is native to Iran and Northeast Turkey. Pomegranates also thrive in the drier climates of California and Arizona and cultivated throughout the Middle East, Southern Asia and Mediterranean region for several millennia. It is also extensively grown in South China and in Southeast Asia. Kandahar in Afghanistan is famous for its high-quality pomegranates . The taste differs depending on the variety or cultivation of pomegranate and its ripeness . Pomegranate seeds are used as a spice known as ‘anardana’ (from Persian: anar + dana, pomegranate + seed), most notably in Indian and Pakistani cuisine, but also as a substitute for pomegranate syrup in Persian cuisine. Dried whole seeds can often be obtained in ethnic Indian sub-continent markets. Ground anardana is also used in deeper flavoring dishes. Seeds of the wild pomegranate variety known as ‘daru’ from the Himalayas are regarded as quality sources for this spice [4-6]. Pictures of the ripe fruit with the seeds bursting forth were often hung in homes to bestow fertility and bless the dwelling with numerous offspring, an important facet of traditional Chinese culture [5A].One serving (87 grams) of pomegranate seeds contains the following nutrients as described in tables 1 and 2. . The calorific value of the pomegranate seed is 83 calories per 100 grams. Vitamin K, Vitamin C (Ascorbic acid), Vitamin B9 (Foliate), Vitamin B6 (Pyridoxine) are also found to be present in the seeds of pomegranate. Ancient Egyptians regarded the pomegranate as a symbol of prosperity and ambition. According to the one of the oldest medical writings from around 1500 BC, Egyptians used the pomegranate for treatment of tapeworm infections [6A]. The calorific value of the pomegranate seed is 83 calories per 100 grams. Vitamin K, Vitamin C (Ascorbic acid), Vitamin B9 (Foliate), Vitamin B6 (Pyridoxine) are also found to be present in the seeds of pomegranate as shown in table 1 above . There are trace minerals present in pomegranate seeds as shown in table 3 . Fatty acids are found abundantly in pomegranate seed as shown in table 4 . Phytochemicals like triterpenoids, steroid, glycosides, saponins, alkaloids, tannins, carbohydrates and vitamin C were found present in the seed extracts [8, 9]. Traditional use of Punica granatum is described for Cardiacproblem, Stomach disorders, dentalcare, cancer, osteoarthritis, diabetes, anemia etc [8, 9]. In general, the pomegranate fruit and its components are considered safe for human consumption with over several thousand years of use as a food product. Orally, pomegranate is generally well tolerated.The juice is widely consumed and no serious adverse events have been reported in clinical trials. One trial found similar rates of mild to moderate adverse events for pomegranate extract and placebo with only 3 cases of gastro-intestinal disturbances. Diarrhoea was reported more frequently in patients taking a larger dose (3g) than in those taking a smaller dose (1g) in one trial. The fruit or seeds may cause allergies, more frequently in those with allergies to other plants. Allergic reactions have been reported with oral and topical use and anaphylaxis has been reported on rare occasions . Due to the potential for anaphylaxis, it is suggested that pomegranate is avoided in those who are allergic to pomegranate. There is also insufficient reliable information on safety of pomegranate extracts in pregnancy and lactation and potential genotoxicity of one whole fruit extract has been reported in an animal study . A potential for interaction with herbs, supplements and drugs that reduce blood pressure has been suggest due to pomegranate's possible antihypertensive effects. Pomegranate juice is also reported to have ACE inhibitor-like effects suggesting caution in those being treated with this class of drugs. Human studies show that pomegranate juice has no effect on the bioavailability or pharmacokinetics of representative Cytochrome P450 2C9 (CYP2C9) and Cytochrome P450 3A4 (CYP3A4) substrates. Several individual cases of potential interaction with warfarin have been reported. One case was also reported of a patient being treated with the statin ‘rosuvastatin’ and ‘ezetimibe’ who developed rhabdomyolysis after starting to drink pomegranate juice . 2.0 kg of pomegranate seeds were purchased from Little India market in Ipoh, Perak D.R., Malaysia. According to the shop owner, the seeds were imported from India. The seeds were stored in a refrigerator to preserve the freshness of the seeds. The seeds were thoroughly washed manually with water until they were free from the foreign substances. Seeds were rinsed with distilled water for three times. The seeds were spread thoroughly on the large filter paper. The seeds were dried under shade. The dried seeds were blended by using stationary jar electric blender. The seeds were blended till fine to increase the surface area for extracting solvents. 98.0% Sulfuric Acid (R&M Chemicals, Essex, United Kingdom), Dragendorff's reagent (R&M Chemicals, Essex, United Kingdom), Distilled water was freshly glass distilled (Genristo, Nottingham UK)in the laboratory, Chloroform (QReC), 37.0% Hydrochloric Acid (HmbG Chemicals), Ammonia (HmbG Chemicals), sodium hydroxide(R&M Chemicals, Essex, United Kingdom), Fehling's solution A (R&M Chemicals, Essex, United Kingdom), Fehling's solution B (R&M Chemicals, Essex, United Kingdom), Ferric chloride (R&M Chemicals, Essex, United Kingdom), Molisch's reagent (R&M Chemicals, Essex, United Kingdom), Millon's reagent (QReC), Sudan's reagent (PC Laboratory Reagent), 99.9% Ethanol (HmbG Chemicals), 99% n-Hexane (R&M Marketing, Essex, UK) Molecular weight: 86.16g/mol, 98.0% Sulfuric Acid (R&M Chemicals, Essex, United Kingdom). Rotary evaporator, RE 300, Yamato, Digital analytical weighing balance, Mettler Toledo, Soxhlet apparatus, Duran Group, Hot plate, Erla, Autoclave machine, Tomy. E S 315,Shaking incubator, Daiki science ltd., Ultraviolet spectrometer, Dragendorff's reagent (R&M Chemicals, Essex, United Kingdom), Chloroform (QReC), 37.0% Hydrochloric Acid (HmbG Chemicals), Ammonia (HmbG Chemicals). 81.0 grams of crushed Punica granatum seeds were dried; crushed and transferred to the round bottom flask and extracted with 400 ml of absolute ethanol was measured and added into the round bottom flask. The material was completely soaked in absolute ethanol. The sample was shaken well and was left for 72 hours. 55.0 grams of crushed Punica granatum seeds was weighed and transferred to 1L round bottom flask and extracted with 300ml of hexane was measured and added to the flask. The sample was shaken well and was left for 72 hours. 84.0 grams of dried and crushed Punica granatum seeds were placed inside the thimble and extracted with 500 ml of absolute alcohol for about 48 hours at 55°C. Phytochemical screening was carried out with all three extracts separately. 1.0 ml of each extract was warmed with 2.0ml 2.0% sulfuric acid for 2 minutes. It was filtered and three drops of Dragendorff's reagent were added. Orange red precipitate was observed in all the extract that indicated the presence of alkaloids. 1.0 ml of each extract was added with 5.9 ml of distilled water and heated to boil. Appearance of creamy mist of small bubbles indicated the presence of saponins. 1.0 ml of each extract was mixed with 2.0 ml of chloroform and 3.0 ml concentrated sulfuric acid was carefully added to form a layer (Salkowski Test). Reddish brown coloration at the interface showed the presence of terpenoids. 1.0 ml of each extract was boiled with 2.0ml of 10.0% hydrochloric Acid solution for few minutes in a water bath. It was filtered and allowed to cool. Equal volume of chloroform was added to filtrate. Few drops of 10.0% ammonia were added to mixture and heated. A rose pink colour indicated anthraquinones. 1.0ml of each extract was hydrolyzed with 1.0 ml of 10.0% hydrochloric Acid solution and neutralized with 1.0 ml of 0.2 M sodium hydroxide solution. A few drops of Fehling's solution A and B were added. Red precipitate showed presence of glycosides. 1.0 ml of each extract was mixed with 2.0 ml of distilled water and heated on water bath. Theheated mixture was filtered and 1.0 ml of ferric chloride was added to filtrate. Dark green solution indicated presence of tannins. 1.0ml of each extract was dissolved in 1.0 ml of diluted 0.2 M sodium hydroxide and 1.0 ml of 10.0 % hydrochloric acid solution was added. Yellow solution that turned colourless indicated flavonoids. 0.2 ml of Molisch's Reagent was added to 1.0 ml of each extract in a small test tube. After mixing, the tube was tilted. Without stirring, 0.5 ml of concentrated sulfuric acid was added carefully by pouring down the side of test tube. A red violet ring at the interface between acid (bottom) and aqueous (upper) layer showed the presence of carbohydrates. Two drops of ferric ( III ) chloride was added to 1.0 cm3 of the extract. Presence of phenol in the extracts is indicated by the greenish precipitates. 10 drops of concentrated sulfuric acid was added to a 1.0 ml of the extract in a test tube. Presence of steroids is indicated by appearance of red colouration. Three drops of Millon's reagent was added to 1.0 ml of each extract in the test tube. The tubes were immersed in a boiling water bath for 5 minutes. The tubes were cooled and colours formed were observed. Presence of Tyrosine is indicated by the red colouration. 1.0 ml of Sudan's reagent was added to 1.0 ml of the extract. Presence of the lipid is indicated by the red stains on the lipid layer. Phytochemical constituent screening observation was recorded and shown in table 5. Dragendorff's reagent is a solution of potassium iodobismuthate. The acid reaction occurs when methyl red changes from yellow to orange or red at pH 7.1. Most tertiary and quaternary amines are found in the ionic acid form, and this allows the cationic alkaloid to precipitate with anionic iodobismuthate. The saponins have strong frothing power. Positive results were obtained for ethanol maceration and soxhlet extraction. 0.2 g of each extract was mixed with 2.0 ml of chloroform and 3.0 ml concentrated sulfuric acid to form a layer, reddish brown colouration of the interface was observed for all these three extracts. Positive results were obtained for all extracts in the terpenoids test indicating the presence of terpenoids in soxhlet extraction, ethanol maceration and hexane maceration of pomegranate seed. In anthraquinones test, presence of rose pink colour at the end of experiment indicates positive results. Pale pink colour was observed for all three extracts. No colour change was observed in all three extracts. Thus, glycosides were not present in extractions. Positive result was observed for hot perculation extract but other extracts did not show up positive results due unexplainable reason. No colour change was observed in all 3 extracts. Thus, flavonoids were not present. Molisch's test is based on the dehydration of sulfuric acid to produce an aldehyde, which condenses with 2 molecules of phenol resulting in red or purple coloured compound. The results of carbohydrate test for all three extracts of pomegranate seed were positive. Positive results were obtained for all three extracts. Positive results were obtained for all the three extracts. Positive result was observed for soxhlet extraction, while negative results were obtained for hexane and ethanol maceration. Positive results were obtained as Sudan's reagent stain the lipid layer of both three extracts. Punica granatum is reported as herbal medicine that is useful in treating various diseases due to its antioxidant and antimicrobial activity. Therefore, the present study was started as the first phase of investigations to work on. In present study, the seeds of Punica granatum were collected and dried under shade for three days. The dried seeds were then crushed into powder form. The dried seeds powder was subjected to successive extraction by ethanol and hexane. The different solvent extracts of Punica granatum seeds were subjected to phytochemical screening to identify the phyto-constituents present in the extracts. All the three extracts were found to possess alkaloids, saponins, terpeniods, anthraquinones, tannins, carbohydrates, phenols, steriods, and lipids. Ethanol soxhlet extract also showed presence of amino acid. To have more insight into the mechanism of action of extracts of leaves of Punica granatum, further investigation on isolates of extracts should be done. Antibacterial and antioxidant screening will be performed as the next phase. It is finally concluded that the phytochemical screening is very much correlated with already published. This research paper has not been submitted anywhere else. The entire expense throughout this study period was financed by the Faculty of Pharmacy, AIMST University, Bedong, Kedah D.A., Malaysia which is appreciated and highly acknowledged. Doijode SD. Seed storage of horticultural crops. Food Products Press. 2001. Kamran S. How to de-seed a pomegranate. Sophisicated Gourmet. 2016. Stover E, Mercure EW. The pomegranate: a new look at the fruit of paradise. HortScience. 2007; 42 (5): 1088–92. Morton JF. Pomegranate, Punica granatum L. Fruits of Warm Climates. Purdue New Crops. 2012. Punica granatum var. nana. Royal horticultural society. 1999. 5A. Doré SJ, Henry, Kennelly SJ. Researches into Chinese Superstitions. Tusewei Press.1914; 10: 722. Axe. Incredible Pomegranate Seeds Benefits. Food is Medicine. 2016. 6A. Seeram NP, Schulman RN, David H. Antimicrobial activities of pomegranate. In. Pomegranates: ancient roots to modern medicine. 2006. Satheesh B, Vadish B, Sharmila S, Bekal MP. Preliminary phytochemical screening of various extracts of Punica granatum peel, whole fruit and seeds. Preliminary Phytochemical. 2012. Debjit B, Gopinath H. Medicinal Uses of Punica granatum and Its Health Benefits. 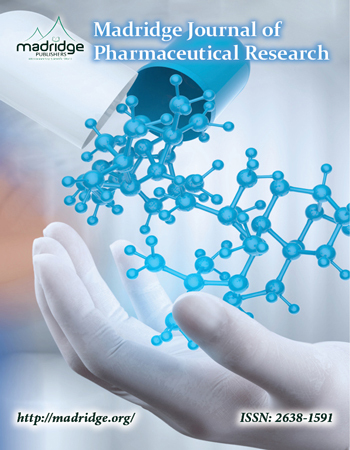 Journal of Pharmacognosy and Phytochemistry. 2013. Pilkington K. Pomegranate (Punica granatum). CAM-Cancer Consortium. 2016. 10A. Bhandary S, Bhat V, Sherly S, Bekal MP. Preliminary phytochemical screening of various extracts of Punica granatum peel, whole fruit and seeds. Preliminary Phytochemical. 2012. Melo ILP, Carvalho EBT, Filho JM. Pomegranate Seed Oil (Punica granatum L.): A Source of Punicic Acid (Conjugated α-Linolenic Acid). J Hum Nutr Food Sci. 2014. Prakash CVS, Prakash I. Bioactive Chemical Constituents from Pomegranate (Punica granatum) Juice, Seed and Peel-A Review. Intern J res in Chem & environ. 2011; 2(1): 1-18.